Published in London by Folio Society. 2012. First Thus. 12 Fine Paperbacks. No inscriptions or bookplates. Near Fine magnetically sealing slipcase with slight white marks to spine. 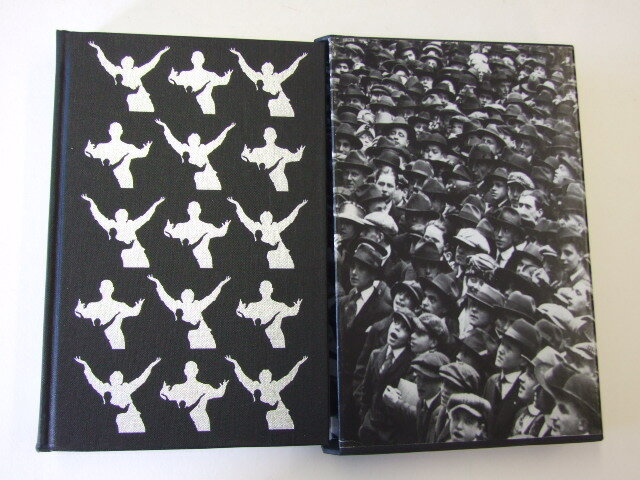 Comes with a commentary volume which is Fine in Near Fine slipcase with very slight marks to front panel. A Folio Society facsimile edition, limited to 1,000 numbered copies of which this is number 285. The first complete facsimile has been created by The Folio Society in partnership with the Royal Geographical Society (with IBG), the British Library and the Scott Polar Research Institute. At the start of the 20th century most of the far places of the world had been explored. Only the Polar regions, bound in ice and well-nigh impenetrable, remained to be conquered. Captain Scott led two expeditions to the Antarctic, on the ship Discovery in 1902 and the Terra Nova in 1911. He and his men waited out the long months of winter darkness, carrying out scientific research, and then used the brief summers to explore the uncharted continent, culminating in 1911 with their ill-fated journey to the South Pole, forever etched on the national consciousness. The South Polar Times was a magazine created by members of Captain Scott�s expeditions to entertain themselves during the four months of Antarctic winter. Typed up, and illustrated with paintings, sketches and photographs, each issue was read aloud to all hands. They contain a mixture of the �grave and gay�, serious reports on the weather or fauna interspersed with cartoons, songs and articles that gently poke fun at members of the expedition. Together the material gives us an unsurpassed sense of their community: legendary personalities such as Scott, Shackleton, Wilson and Cherry-Garrard, as well as scientists and ordinary seamen, all of whom had been inspired to travel to the furthest reaches of the earth and risk their lives. "Only one copy has been produced and this has been made as complete and perfect as possible under our circumstances, in the hope that the whole thing may be thoroughly well reproduced with all the illustrations when we get home" - Scott's journal. 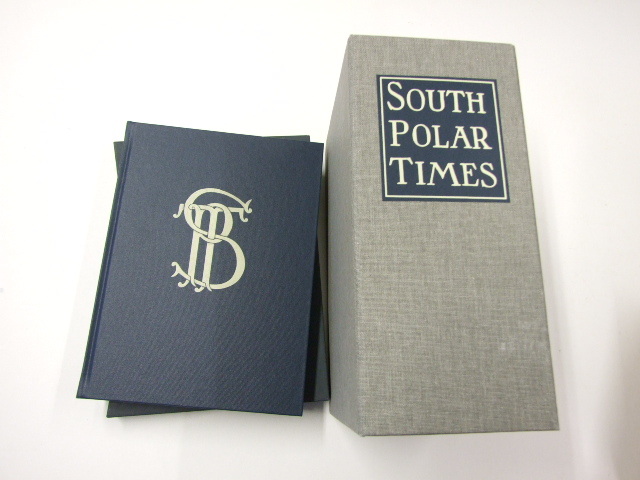 Scott�s intention has been fully realised in this painstaking and exact reproduction of all 12 issues of the South Polar Times. The original manuscripts, typed by the various editors, illustrated with drawings, watercolours and with photographs printed by Herbert Ponting in his Antarctic darkroom, have a thrilling immediacy. Opening the facsimile is to feel oneself in direct contact with the group of men who began the first great scientific exploration of Antarctica. It conveys an unsurpassed sense of the camaraderie that supported them, the patriotic vision that inspired them and the stoicism and courage that enabled them to endure and make light of terrible privations. The South Polar Times is a powerful piece of history that shows us a heroic age in incomparable detail. The editions are beautiful and interesting in their own right: Scott, Shackleton and Bowers were all extremely talented writers, while Wilson was an excellent artist, and many others tried their hand at silhouettes, sketches and cartoons, including Lieutenant Barnes and Leading Stoker Arthur Quartley. Our modern fascination with the magnificent, lonely beauty of Antarctica is the legacy of the words and images left to us by these pioneers.